← RESULTS: A09; P12A; P12B; Sent Along by State TD Glenn Monroe!! Christmas Greetingss From Australia’s Gold Coast!! 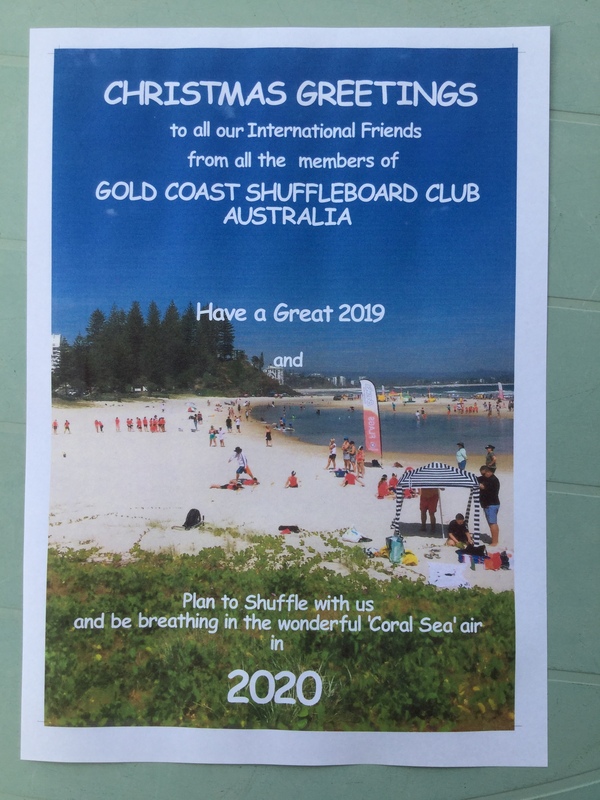 SEASONS GRETINGS FROM THE AUSTRALIAN SHUFFLEBBOARD ASSOCIATION. Sent Along by Ian and Marj WITH THANKS!! This entry was posted in ISA (INTERNAITONAL). Bookmark the permalink. 1 Response to Christmas Greetingss From Australia’s Gold Coast! !